Spring USA announces the arrival of MAX Induction® - The newest and most advanced induction cooking technology! 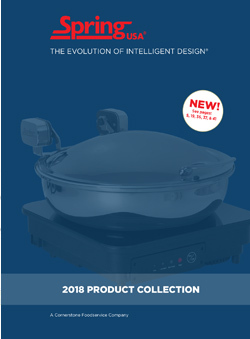 Spring USA is the Industry Leader with our MAX Induction® and Mr. Induction™ line of professional induction cooktops. Ask About Our Premium Warranty Program ~ Call For Details! Premium Warranty Program (PWP) for all MAX Induction® Ranges. Low voltage power is more circuit friendly. “Chip” is our built-in service technician. It automatically adjusts to voltage fluctuations.